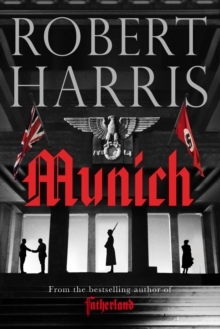 Staff recommendation: The new thriller from Robert Harris is set in September 1938 as Chamberlain prepares to meet Hitler in Munich. Here he will negotiate for a peace in Europe that Hitler does not desire. Two young men will also be reconnecting in Munich. Friends at Oxford, Hugh Legat is now one of Chamberlain’s private secretaries, while Paul Hartmann is a German diplomat and part of the resistance against Hitler. Hartmann sees his chance to try to influence Chamberlain and draws Legat into his schemes. reader into the knife-edge moments of history.